Summer will soon be upon us in Australia and already early Spring a taste of warm days, t-shirts and hot cars reminds us of what is to come. I’m not particularly fond of the heat and take precautions with my fair and freckled skin and insist my youngest child sunscreens and avoids hot sun. What about your baby and summer sun? On many occasions I have observed parents with tiny and not so tiny baby’s out and about in really hot weather with no covering or hat on their baby sensitive skin. Young babies can become easily dehydrated and any sunburn needs medical assessment…sunburn adds to dehydration! Babies under 12 months should not be exposed to direct sun when the UV index is 3 or above. If you need to be out and about on sunny summer days have a few cotton hats that provide good head shading. Put your baby into cool and natural fabrics like pure cotton and linen ensuring arms legs and little baby feet are covered. Remember to shade the pram but make sure the internal environment is well ventilated. Black or dark coloured prams absorb heat and could become a ‘hothouse’ for your precious little one! Professional bodies like skincancer.org and cancercouncil.com.au recommend NO sunscreen on babies under 6 months of age. Sunscreen ingredients can be too strong for baby’s sensitive skin as chemical and even non chemical products are more absorbed and may cause potential reactions. How will I know if my baby is dehydrated? Your baby may initially become flushed, irritable and sweaty when they feel hot. Dark yellow or brown urine instead of pale yellow and a dry mouth. Later signs include dry or fewer wet nappies. A sunken fontanelle, few or no tears when crying, sunken and pale eyes, irritable or drowsy, pale dry skin and cold feet and hands. If you are concerned your baby has any signs of dehydration or has been sunburnt head straight to your GP or local Emergency centre. Has your toddler rarely slept through the night? Many parents think once their child has learnt the knack of sleeping, they will sleep well forever, but as humans we all have rough patches when falling asleep, waking overnight or just waking way too early is a fact of life. 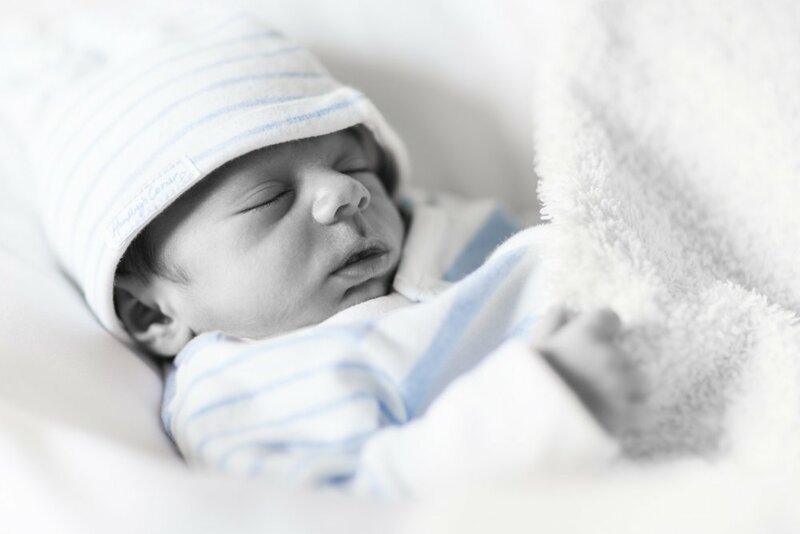 If you are the parent of a baby that is sleeping well let's hope you are lucky enough to avoid sleep regression because once you have good sleep it is very difficult to be thrust back into sleeplessness. Some kids never go through sleep regression because they have never learnt the knack of sleeping EVER! Working with loads of parents that never get to experience sleep regression because their baby has never slept for than five hours is akin to being in a state of perpetual jet lag. It’s chronic sleep deprivation at it’s worst, and it really does affect the way you parent and the relationships between you and your kids, your partner and even your friends and work colleagues. The biggest impact, however, will be on your child your relationship, because tired kids don’t learn nearly, as well as good sleepers and their emotional and intellectual intelligence, is compromised often for life. This might be a typical scene that is currently playing out in your home and is a real-life story. Toddler Laura at18 months old has never slept through the night more than 5 or 6 times….that translates to around 540 nights of broken sleep and this family was EXHAUSTED. We are desperate for sleep! Her parents read books. Not just one but many and spoke to many knowledgeable experts from their general practitioner, pediatrician, maternal/child health nurse, friends, family and even went to sleep school. They painstakingly tried a long list of techniques like white noise, lullaby music, camping in Laura’s room, and rocking for hours on end. They slept in her room and she slept in their bed. They tried routines around strict sleep times and even controlled comforting. Yet baby Laura defied every single one and continued to wake frequently overnight and take a long time to settle to sleep. They had lost confidence as parents and their relationship as a couple was strained. They rarely had dinner together and dreaded putting their toddler to bed. It was all round stress and anxiety for everyone and baby Laura’s sleep pattern was breaking them. As a sleep expert, I’ve heard this scenario so many times over and I feel so much for these tired families because even one bad night throws my day out. I knew Laura just couldn’t relax as the first issue. Secondary to this was the fact that she was in a perpetual state of sleep debt that caused her poor sleep habits to become chronic sleep deprivation. What a joy to hear how sleep changed for baby Laura who had been tired her whole life thanks to the Nigh’ Nigh’ Sleepy Head Lullaby Sleep Music. “Laura is now able to go into her cot feeling happy, relaxed and content. She settles quickly into a comfortable sleep and sleeps soundly. On the occasions during the night where she does wake, she is now able to settle herself back to sleep without any intervention from us, which I am quite sure is due to the positive association she now has with bed and going to sleep. Thank you, Deb, for creating a fabulous CD that has helped us so much. Everyone in our family is happier and gets a lot more quality sleep. Finally, my husband and I feel like much more capable parents simply by having an effective tool to help our daughter settle and go to sleep“. Sleep research used to support quality sleep over quantity but is now no longer supported. Sleep hours are critical in your child's formative years and the new recommendations for toddlers aged 1-3 years are 12 to 14 hours per day. “My Baby Was A Great Sleeper And Then Things Changed” - Getting The Older Baby Back To Good Sleep! This is the age when many developmental milestones are achieved and sleep patterns change dramatically. Waking as much or more than when they were in the newborn phase, catnapping can be occurring both day and night. How exhausting to be going back to more waking and longer settling! You might resort back to some of the sleep tools you used when your baby was a newborn like white noise? Helping settle older babies that have now developed millions of brain cells since birth requires a different approach. White noise in its simplicity cannot compete with brain engagement like a lullaby can. Basically, your white noise is too dull for the brain to engage so your baby no longer responds. There are many factors that can impact on your child’s sleep in this age range. Watch out for teething pain. Cooled teethers may help soothe gums prior to sleep. Analgesia, gum soothing gels and lullaby music are all proven methods. We suggest a combination approach for settling and soothing your waking baby. Nappy rash can flare up with teeth eruption. A soothing nappy rash cream applied thickly can help with the discomfort that can wake them up. Even apply as a preventative when you see the teething symptoms of dribbling, red cheeks and desire to chew on objects with purpose. We find the combination of zinc based diaper creams with a dusting of corn flour powder a very efficient and healing combination. Hunger can be an issue if they are growing rapidly and using up calories. Try extra feeds or protein-based snacks before bedtime like cheese, yoghurt or whole-meal cheese or mashed egg sandwich. This is often a time when nursing momma’s can doubt their milk supply and lack of sleep and stress, doesn’t help. Rather than opting for formula top ups, a snack might keep your growing baby sustained for longer and keep you breast-feeding for longer. Separation anxiety can be a huge issue from about six months on. This is where the term ‘velcro baby’ comes into play…literally stuck to you! You are your little ones security blanket and he will be seeking your reassurance that all is ok. This means he will want to go everywhere with you and insist on clinging to you during the day and wanting you close by at night. This phase can also continue for months meaning your chance of getting a little peace and quiet is limited when your toddler refuses to sleep. Your bedtime routine should be no more than 20 MINUTES start-to-finish once pj’s are on and settling begins. Keep sleep times as regular and consistent as you can. Your older baby will likely want you to stay with them and regardless of your sleeping arrangement, you may not be ready to settle down for the night at 7pm, especially if you have other children. This is the perfect time to introduce Lullaby Sleep Music. Stay with your baby and re-connect and as baby relaxes, the music should allow you to leave, while baby falls into deeper sleep. Keep your music choices very simple and repetitive. Your baby will love you to sing to them. Your older baby will become overtired just as quickly as when they were younger, so continue to watch for the early tired signs. Eye rubbing, yawning, disinterest and irritability to name a few. RELAXATION IS THE KEY to quick settling. The combination of you being with them for reassurance and using appropriate sleep music to help them relax, will mean they learn to associate the same music as their sleep cue. If you can sing to your baby you will be enhancing your bond with them and they will be growing brain cells based on that experience. Nurturing your older baby to learn good sleep habits and having them use lullaby sleep music as their relaxation sleep cue in infancy can become a life long habit. Music is the perfect tool for relaxing. Just look at how you feel when you listen to music. Doesn’t it help your mood? As a parent we all know having a baby is going to disrupt our sleep. It’s a normal biological fact that babies will want to wake and feed overnight as their tiny tummies empty quickly. It’s a beautiful and exhausting stage of parenting that sometimes requires some adjustment and lullaby music can help. For me it would take about two weeks after birthing for my body and brain to accept the frequent night-time waking. It was hard and particularly difficult when the last trimester lack of sleep meant I felt so sleep deprived. What made this even more difficult was the fact that my son was a Catnapping Baby. Only sleeping on average 20-40 minutes and taking a while to settle meant that he spent a lot of time in my arms. I was completely okay with that in the day-time because he was my last baby and I cherished those times. Night-time was another thing! I didn’t want to leave my baby to cry and even trying white noise didn’t help. We room shared but not bed shared. Although some parents do this very effectively, I never slept well when we co-slept. Perhaps my nursing background gave me a heightened sense of ‘what if we rolled on him? What if he went under the duvet, as babies do move around. Overheating and smothering are SIDs risks and that was always on my mind. This meant my sleep was light and I couldn’t function on that. Recently I was talking to a group of expecting mums all having first babies. They revealed that their number one concern that frightened them the most was lack of sleep. Second to that was were they going to make good parents? As a sleep expert, I hear some really amazing stories. Many new mums fall into the belief that lack of sleep is normal and babies will get there in their own time, even if it takes years. Many toddlers have never slept more than a couple of nights through! Can you contemplate your baby or toddler never sleeping well for months or years for one moment? But it happens and isn’t uncommon. SLEEP IS AS IMPORTANT AS NUTRITION AND EXERCISE! We spend 1/3 of our lives sleeping and there is a good reason for that. Quality of life depends on sleep and lack of it affects short and long term health. Mental health – You are at increased risk of depression, anxiety and even psychosis. The risk of developing maternal depression is higher not in the immediate months after birth, but when your baby reached toddlerhood. Expect to be forgetful, over emotional and cry over what once would have been a trivial matter. Tiredness makes you less alert and more vulnerable to accidents and injury. Physical health – Can’t lose your pregnancy weight? Lack of sleep leads to hormone disruption. Elevated levels of a hormone called Leptin, signals hunger. Expect to feel hungry and never feel a sense of fullness. It can mask the additional calories that you need if you are nursing. Try to keep within your normal height/weight ratio for optimal health. Diabetes, low immunity and even some cancers are linked to lack of sleep. While you sleep your cells are repairing and your brain is flushing out toxins. If you’re not physically healthy, how can you expect to look after your baby? Relationship health – Increased aggression, less tolerance and poor decision-making can impact not only you but the relationship you have with your child and your partner. Mood swings will be common which makes your interaction with your loved ones fragile. Expect disharmony with your partner and less infant bonding. We used Lullaby Sleep Music! I tried to find lullaby sleep music that had a song and instrumental but couldn’t find anything like that. The solution was to make our own and thank goodness we did. It was the simplest solution that made settling faster and sleep deeper. I have very fond memories when my toddler relaxed to sleep without anxiety, and when he slept all night, so did I. And as a bonus it was our ‘go to’ sleep tool whenever his sleep was hard come. After all he’s only human and we all need a little sleep help, sometimes. Kids with full-blown allergies usually have need 3 gene mutations but poor skin integrity has been found to be an open gateway for developing an allergy. I remember my first year as a new mum. It’s such a huge learning curve. I thought nappy rash would be a common thing especially since cloth nappies and plastic over pants were the norm. I remember being particularly pleased that my baby was free nappy rash, but that all changed when teething took on a life of it’s own around nine months. A sore red bottom resulted in shrill cries at nappy change time. I thought pain was associated with sore skin, only to discover months later that the baby wipes contained alcohol. It had a real sting when applied to irritated and reddened skin. That was back in the 80’s and disposable wipes were the newest best thing out but limited in choices and research! Years later and more babies I realized that soap wasn’t the best option for baby skin because it removed natures oily layers that were the skins protector. Pharmacist and leading colic expert from Wilby’s Wind and Colic mix, Gai Williams has spoken with hundreds of mums over her career and been asked many times how should nappy rash be treated. Gai recommends Qiara probiotics as a great immunity booster. To look after baby’s skin, soap free wipes and washes help prevent nappy rash and skin breakdown because they are ph balnced to prevent skin becoming dry. Teething can be particularly difficult when urine becomes more acidic causing further skin trauma. Gai suggests products with oatmeal can be a gentle alternative. For nappy rash breakout Pine Tarsol baths are soothing if somewhat odorous but a popular old time favourite for reducing inflammation. Barrier creams containing zinc keep the skin protected from urine and replace oils that may have been removed from soap containing wipes. I know Bepanthen and Sudocream were my favourites…except for when my baby learnt to self serve and covered himself from head to toe. It didn’t seem to matter how tight the lid was on, he managed to get into it. A mess at the time but fortunately I can laugh about it now! In addition to protecting the skin from pathogens the immune system needs adequate sleep. This is when the body repairs cells and removes toxins from brain. It also releases hormones that contribute to eating when you feel hungry and then that feeling of fullness afterwards. This means your diet is likely to be much healthier as you tend to make better and healthier food choices. I know when my son wasn’t sleeping I felt so much hungrier. Combined with juggling night shift, my brain was hugely sleep deprived and battling physical exhaustion I was grabbing quick snacks to keep me going. Thankfully Nigh’ Nigh’ Sleepy Head sorted my sons sleep issues which helped mine. It was even better when I quit night shift! Now as a sleep expert I would to those working nights that they keep it as a short term work option and if that isn’t possible, to have regular breaks onto days shifts. Sleep is vital to physical, emotional and mental health. Not getting enough sleep contributes to a poorer quality of life and can cause serious and life changing health issues. Don’t underestimate the value and importance of good sleep. 1. Think healthy…add fruit! Make a berry delicious chocolate dip…Gather a selection of strawberries, blueberries, blackberries even banana and mandarin segments. Begin by melting a variety of dark, milk and white chocolate, in a microwave or double boiler. Stir frequently and be careful not to let it burn! When melted, individually dip fruit into the melted chocolate and arrange on baking/ non-stick paper. Try coconut, ground almonds, or sprinkles for additional WOW factor. When chilled, serve on a platter for the grownups, or in pretty baskets for the kids. 2. Limit the size. For young kids, it’s all about the numbers. Watch them count their stash…the more the merrier! BUT think small! Scatter tiny eggs around the house or garden for an Easter egg treasure hunt. The kids’ will be delighted and think they have scored a massive amount of chocolate, but the small portions allow you much more control…you can be the ‘keeper and stash protector’, and hand out at intervals…At any rate it stops gorging and tummy ache! 3. In addition to the eggs collected from the treasure hunt, give each child one, and only one, special egg. All in all it will be enough to satisfy their chocolate needs… and won’t break the bank for you. If you are really lucky, the grand folks might even supply the ‘special’ one! 4. Suggest to friends and family to give an alternate gift rather than chocolate. A book, a small toy (bunnies are popular) or even clothing are all more productive choices than chocolate and last much longer, too! My baby only feeds to sleep and I want to change that! This is a common way of settling for many babies. It begins from day one when newborns fall asleep during feeding, wake and feed a bit more. It's a nice way to get to know your newborn, but this pattern can go on for a long long time. Many mums love feeding to sleep in the first months after giving birth but reach a point when they feed and they just want their baby to sleep, without the need to feed to sleep. Separating the sleep and feed tasks requires the baby to learn how to relax without suckling. SO HOW TO DO YOU DO THAT? Hi Deb! Just letting you know we used the Nigh Nigh Sleepy Head song finally... and Luci went to sleep without me feeding her to sleep. And when I moved her to her cot I turned it back on and she went straight back to sleep. Magic! Thank you! Wish we had used it earlier! I'm at my wit's end, says mum! As a mum and a young one with my first two children, I was often 'at my wits end'. Becomimg a mother is the most wonderful experience but parenting is tough! Every child is different and each personality, interaction and reaction had mico-moments that left me feeling a bit lost as to what to do. What works one day, doesn't work the next! One think that I do know is I am NOT a good mum when I am tired! Our children are little for such a small amount of time, even though the days can feel awfully long! But every day that is managed after a good night's sleep means you can be equipped to better deal with ANYTHING! Theadditional bonus is children are SO much easier when they aren't over-tired. No longer is sleep time a stressful event for myself and Jude. Thanks to Nigh' Nigh' Sleepy Head Jude falls to sleep relaxed and peaceful and only waking once over night for a feed. Deb, you are a wonderful lady. I can’t thank you enough for all your support and encouragement. A bit of a backstory I attended one of debs seminars at my wit's end, stressed and sleep deprived. I had tried to let Jude cry it out, but that just left myself, my husband and Jude stressed out! Nothing worse than hearing your baby cry. Jude would eventually give up crying and fall asleep but he wouldn’t stay asleep and would wake countless times overnight. Did you know babies are forming memory association before birth? Your foetus has the ability to remember sounds when hearing is developing and gaining pitch acuity, from the second trimester. If mothers were to play appropriate sleep music in the weeks prior to birth, babies would respond and be calmed after birth. This is evidence based. Many babies feed, SLEEP and have less episodes of colic or tummy upset. Such a simple solution and beautiful way to promote bonding, not to mention the amazing connections forming within the developing brain of the infant. Music is an ideal way to calm baby but it also relaxes mum and that means less cortisol and less circulating stress hormones. It's often commented that we need instruction manuals for just about everything. Have you assembled the cot yet? Becoming a parent can be totally mindblowing especially if you're the type of person that is normally 'in control' of everything. Babies are not only changing everyday but give signals that can be incredibly frustrating to figure out. Too hot/cold/need a cuddle/ in pain...What do you want baby? Attending to the basic needs of hunger and comfort seems fairly simple but babies are influenced by their needs and environment. If you feel stressed, so will they. If you've missed their sign for sleep, they cry a lot. This leads to gulping air and often a colicky baby. Overtired babies often don't feed well and sometimes you overfeed because they like sucking. My Child Refuses to Sleep in His Own Bed...I Need Help! There were four in the bed and the little one said...roll over! This is a very common situation because children love the companionship of their parents. When co-sleeping has been a long-term practice, this is what your child has come to expect as normal. They don’t understand the reasoning behind you wanting to turf them out of the sleep space that satisfies all of their emotional needs, they love, and they feel completely safe in. Attempting to dissuade your preschooler from the family bed is sure to evoke significant anxiety, confusion and a range of undesirable behaviours from screaming, tantrums, and simply flat-out refusal, to 101 reasons, why they need to sleep in your bed. On the flip side of this comes toddlers and older kids that sleep in their own room but suddenly decide mummy's bed is better. Certainly, either of these situations is stressful...you know you're going to have a bad nights sleep and usually, the surrounding angst with trying to get your toddler to sleep in their own bed is stressful for them. The fact is you need to change a behaviour and the least amount of stress involved will yield the best result....sleep for everyone! 1. Choose a strategy and STICK to it! If cold turkey is your plan expect a lot of tears...you may well get them in their own beds BUT is the trauma to them and you worth it. Research suggests NO! Depending on age, your older child, I mean 4, and over may cope really well with a designated night to 'Sleepover' in the parent bed. Be sure to make it a night when a little sleep deprivation on your part won't be detrimental to your next days' plans. Younger children need a lot of emotional support to develop sleep confidence and the ability to stay in their own bed. It's usually NEVER a one-step solution. If it was....you wouldn't be reading this! This is one of the things most difficult to achieve. Most parents start off well but children are NEVER going to settle if their emotional needs aren't being met. The usual scenario is you spend hours supporting them, taking them back to their own bed and when this goes on for a few night and your exhaustion catches up with you...you crumble and relent. Let's be totally honest you'd do anything for a good night's sleep! If you can add a sense of fun and calmness to every waking moment, how do think your toddler would react? I know you're thinking FUN? Aren't we trying to keep them asleep? The way to create fun and a really positive approach to bedtime is to set the mood. When this is achieved children feel supported and less stressed. The tools and strategies that you use to create this, means that when they wake, they have support at hand and are able to resettle. When they develop that....you all get SLEEP! Ensuring your child has a good nights sleep is always such a hot topic. Should you let them cry it out? And if you give in to your instincts and comfort them do you create a permanent rod for your back? Maybe co-sleeping or camping-in at the cost of your own night's sleep is the answer? And then there’s the myth that once baby learns the art of sleeping, there will be no more sleepless nights. The reality is your child is a growing, thinking responsive human being and just like you will have nights that they cannot relax to sleep. So whether you have a dream sleeper who has an occasional fussy night or a cat-napper who takes hours to settle, these three steps contain the essential elements to help your child relax into a longer, deeper more settled sleep. Not surprisingly the advice given to insomniac adults is equally true for children. Set a routine, go to sleep and wake up at the same time every day. Routine is essential for your child as it establishes comforting predictability and a sense of safety. Choose a bedtime and stick to it. Research has shown a direct link between inconsistent bedtimes akin to jetlag. The UK study of 10,000 children from University College London found hyperactivity, behavioural and emotional disturbances worsen with age, if bedtime inconsistency is not addressed. Children need and want to be with parents. Gentle attentive parenting is about that connection and responsiveness between child and parent. It promotes bonding and provides your child with emotional security hard-wiring your child’s brain to have the capacity to develop self-control and the ability to self-settle. Without achieving a state of relaxation your child can’t fall asleep. Many parents struggle with helping their child relax, spending hours trying, ending in frustration and anger on their part, and creating overtired, emotional children, ready to party all night long. The essential ingredient in your child’s relaxed state is taking that time for re-connection, to fill their emotional cup. Once your child feels connected they will be able to relax. You can help them transition to a state of deep relaxation with gentle song, soft meditative music or a favourite cuddle toy or ‘blankie’. Routine and re-connection to allow for relaxation, the three essential elements for helping your child sleep. 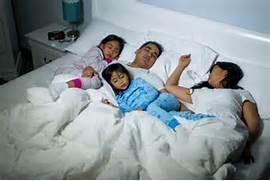 Deeply relaxed restorative sleep can be a reality for the whole family without having to resort to extreme solutions. Why choose a stressful and distressing process when your baby or child’s bedtime can be gentle and nourishing for the whole family? Your unborn has the ability to remember sounds when hearing is developing and gaining pitch acuity from the second trimester. If mothers were to play appropriate sleep music in the weeks prior to birth, babies would respond and be calmed after birth. Such a simple solution and beautiful way to promote bonding, not to mention the neural connections forming within the developing brain of the infant that help develop resilience to stress later in life. Music is an ideal resource for relaxing mums and dads as well. Babies form memories in-utero, study finds.